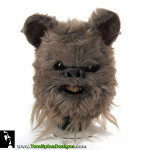 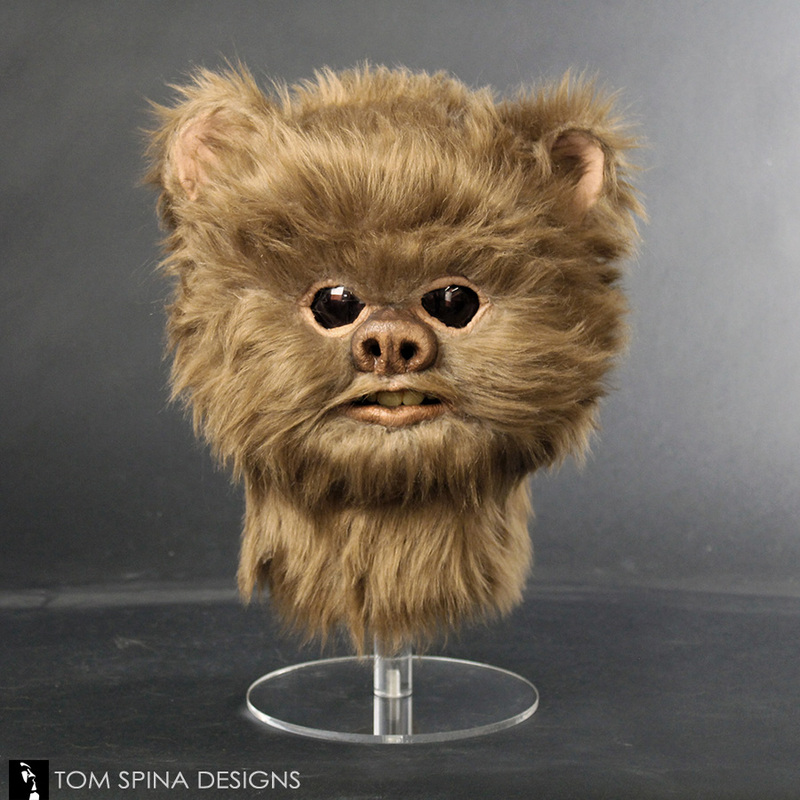 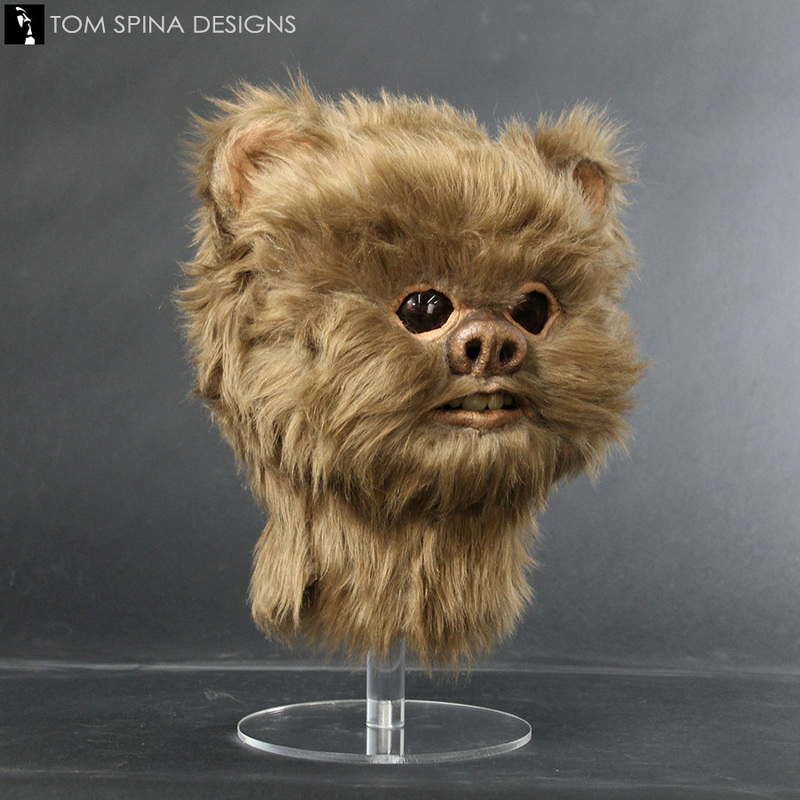 These Return of the Jedi Ewok masks were hand assembled by our studio for The Propstore of London in the mid-2000’s when they were assisting makeup legend Stuart Freeborn find homes for incredible movie props and costumes. 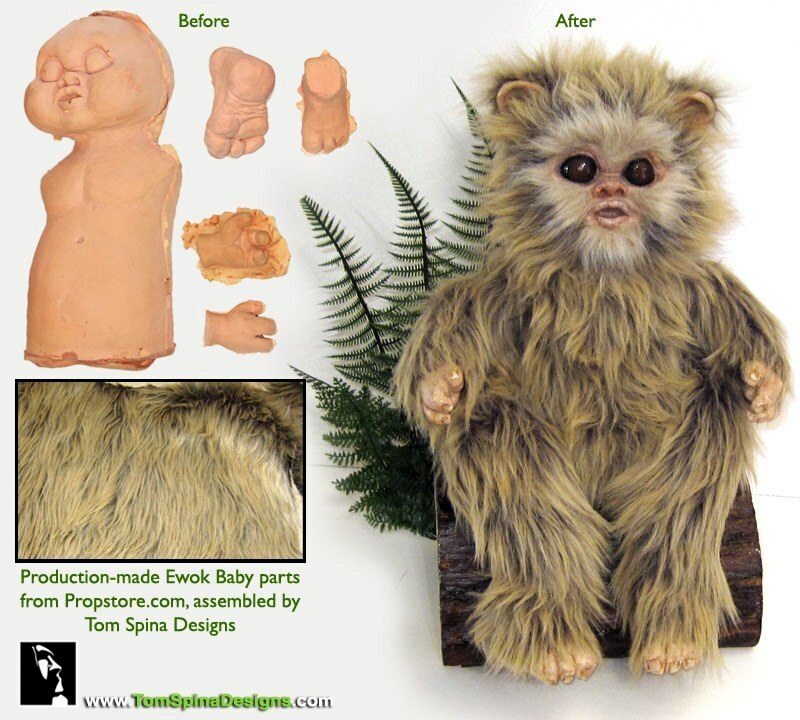 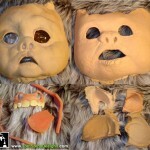 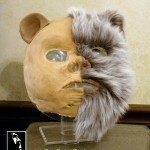 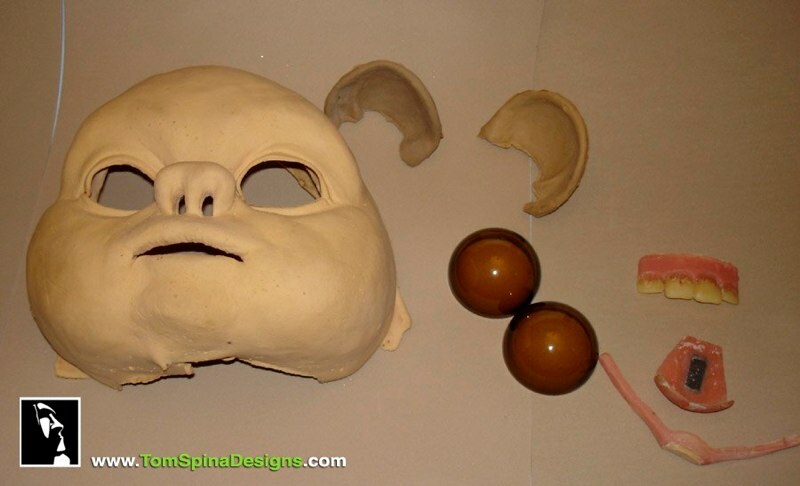 Among the items Freeborn had saved were production made Return of the Jedi Ewok masks and costume parts from 1983. 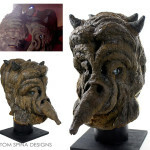 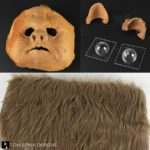 The unfinished foam latex faces, acrylic eyes, foam ears and fur he’d saved were cool in their own right, but Propstore wanted to see if the items could be assembled to create a more substantial collectible Star Wars mask that nicely reflected what people remembered seeing on screen and offer that for sale. 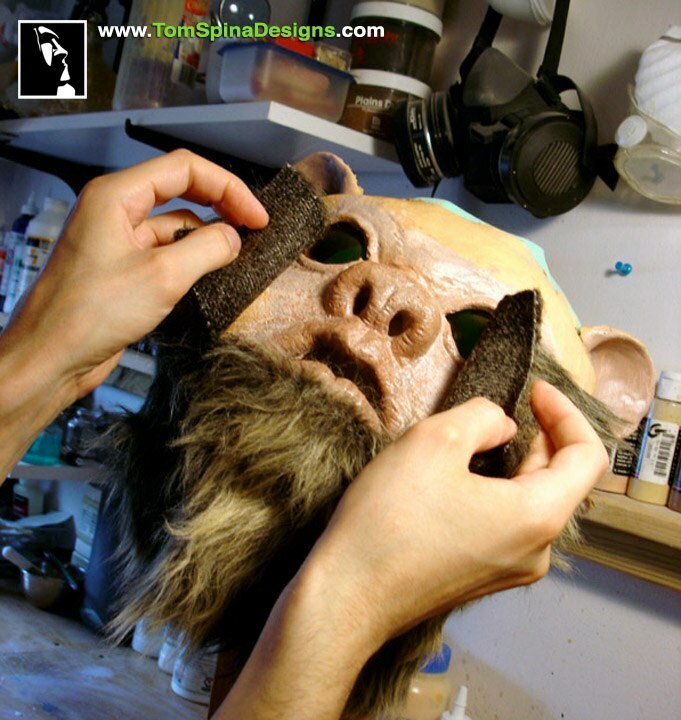 Every effort was made to keep the style and “look” of the finished pieces in-line with Stuart and Kay Freeborn’s methods used on Return of the Jedi (though some small steps were taken to ensure that no one could pass these props off as screen-used masks). 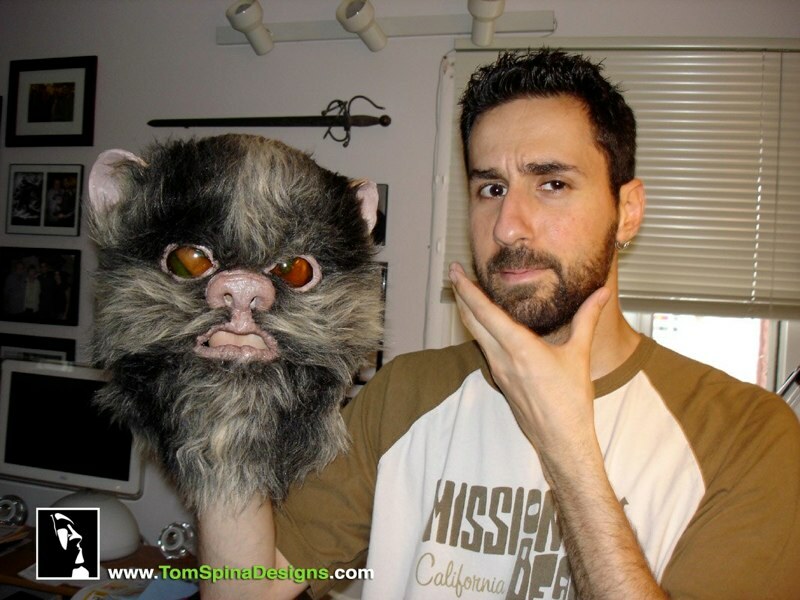 Each prop is unique in some way. 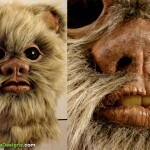 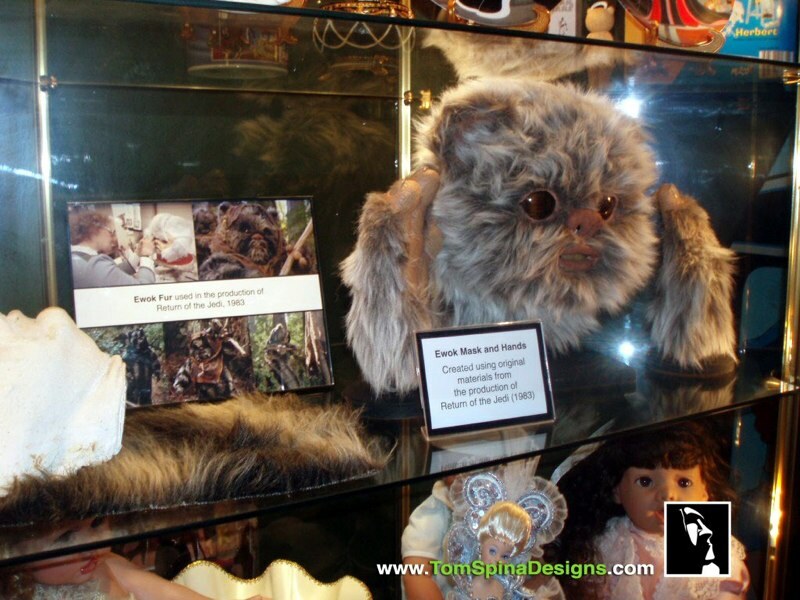 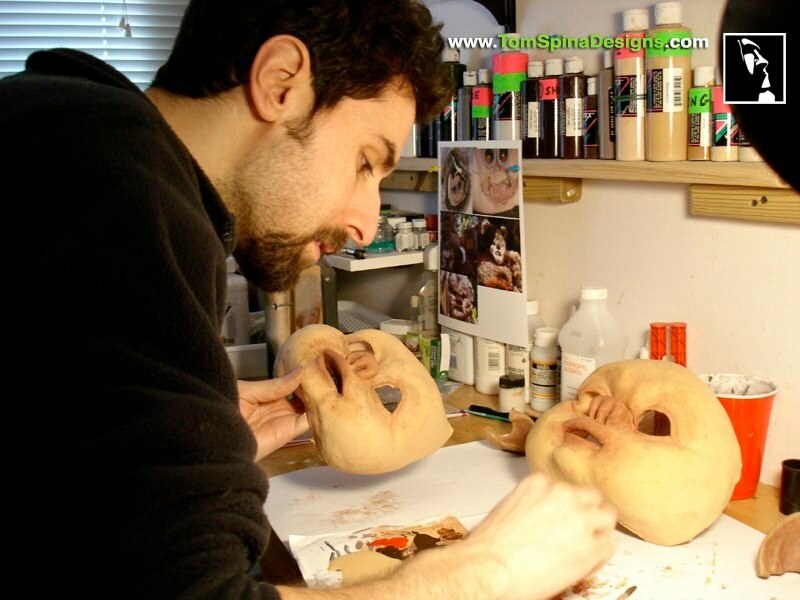 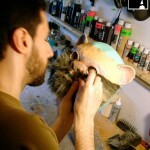 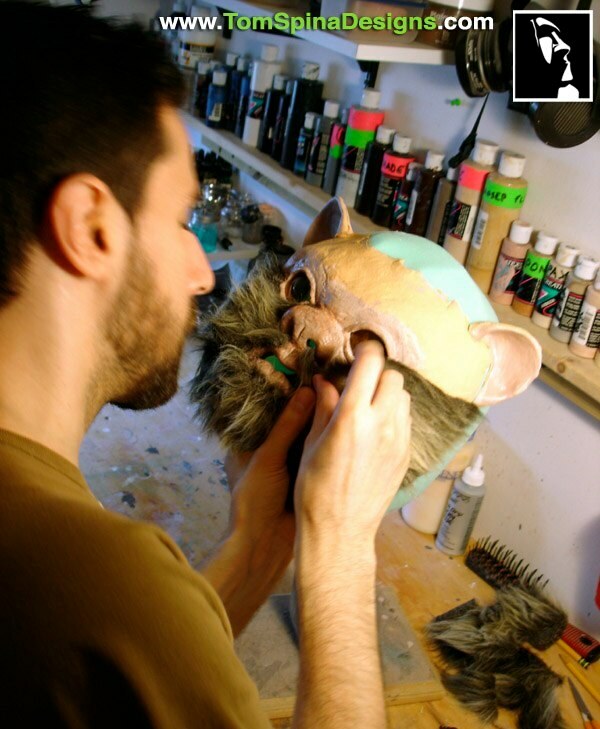 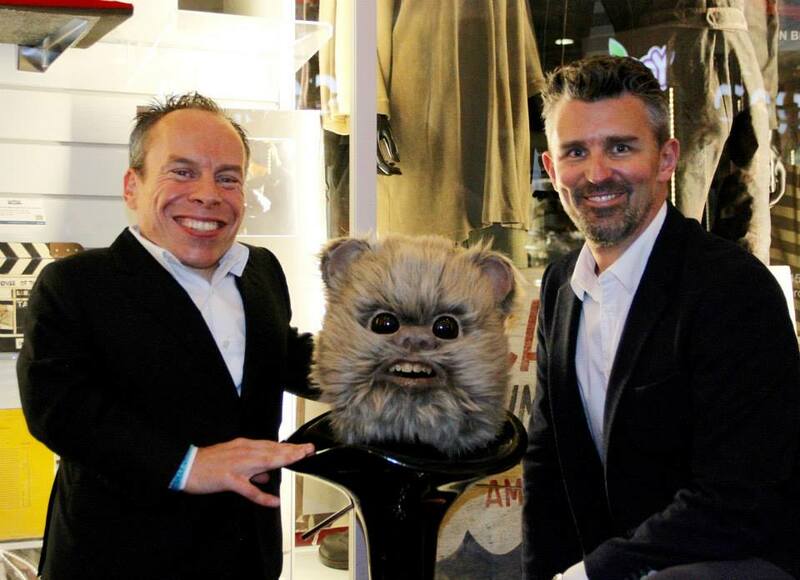 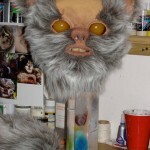 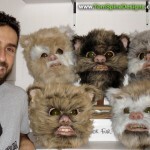 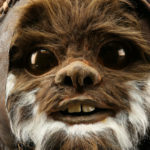 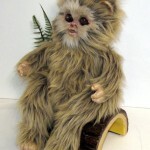 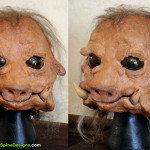 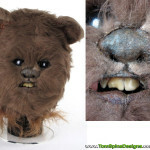 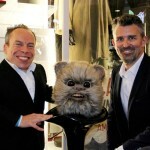 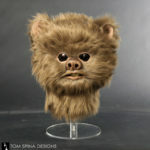 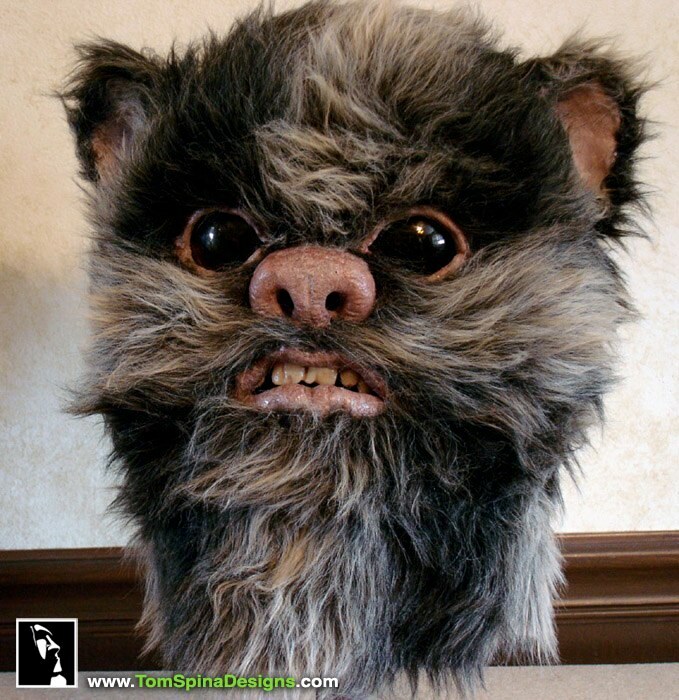 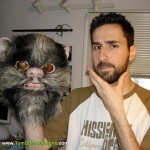 Stuart’s team created a wide variety of sculpts for the Ewok mask faces and ears and naturally, the fur differs from Ewok to Ewok. 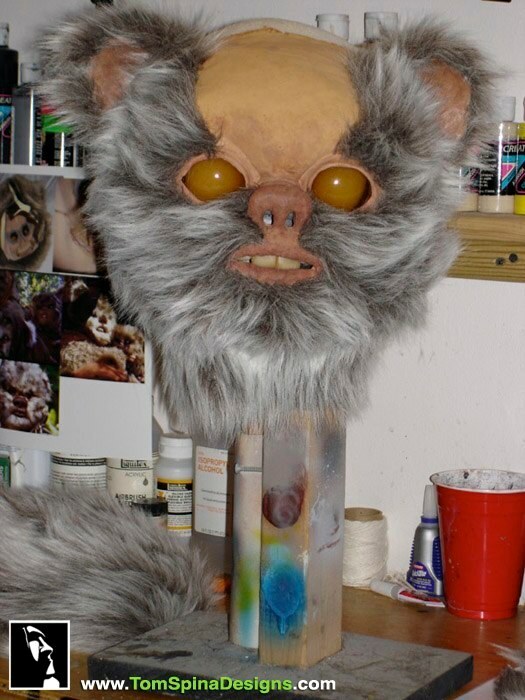 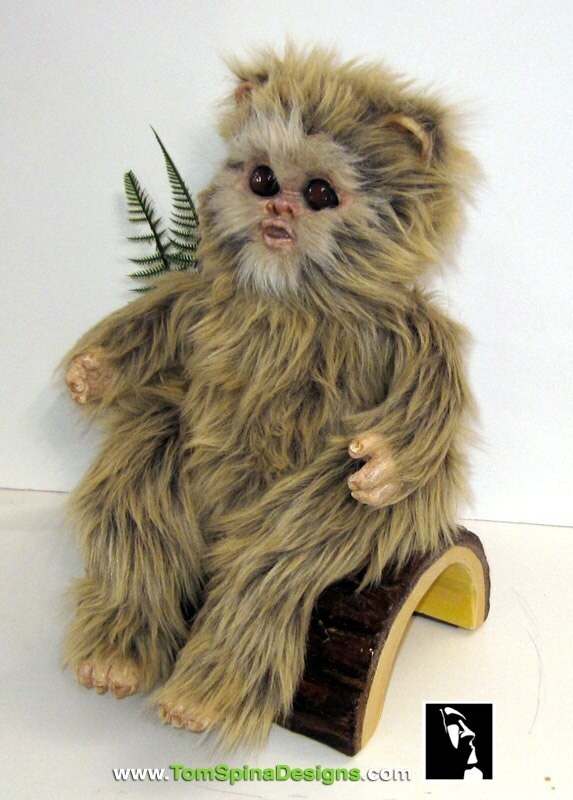 Outside of a few which required reproduction teeth (which we molded from original Ewok teeth), all of the parts used (fur, eyes, foam face & ears, etc) were created by Freeborn’s team for the production of Return of the Jedi back in 1983. 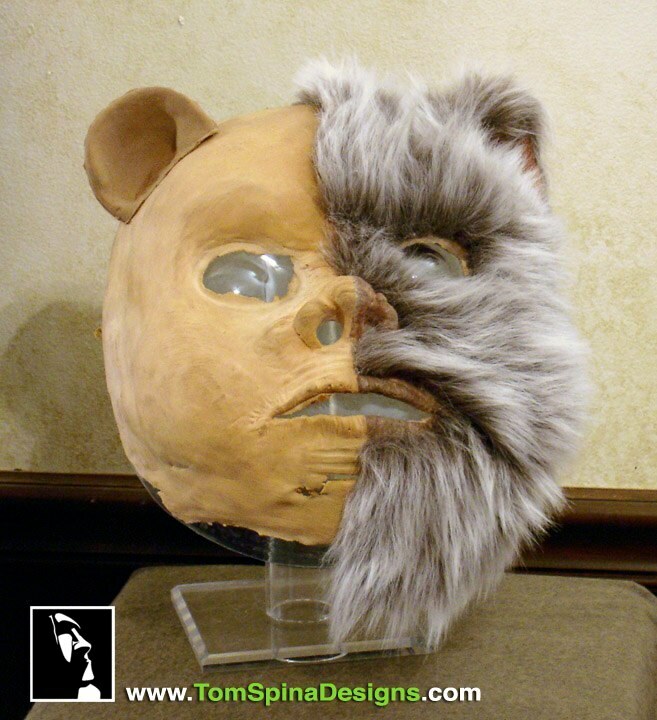 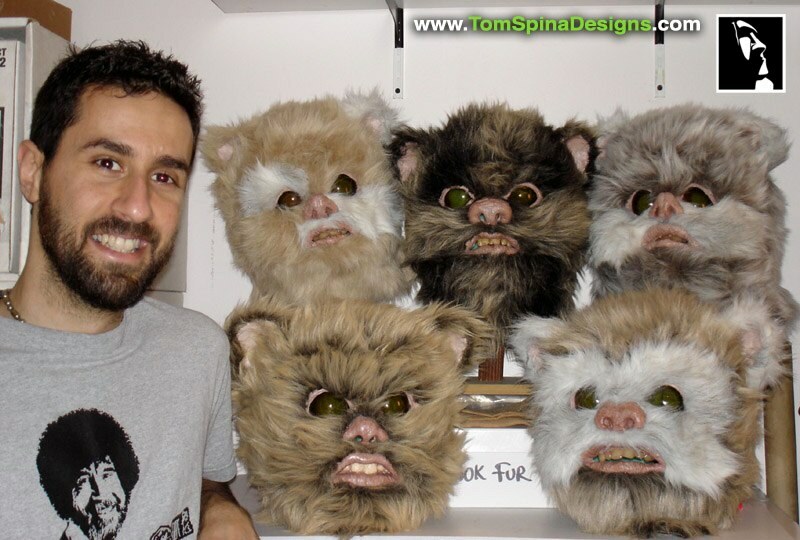 The foam latex masks were then trimmed, patched, painted and furred by Tom Spina and our team to create new “brothers” to the film-used Ewoks, over 20 years later! 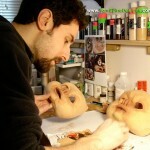 Stuart and Kay are effects makeup legends and idols of ours… it was a tremendous honor to be a part of these projects! 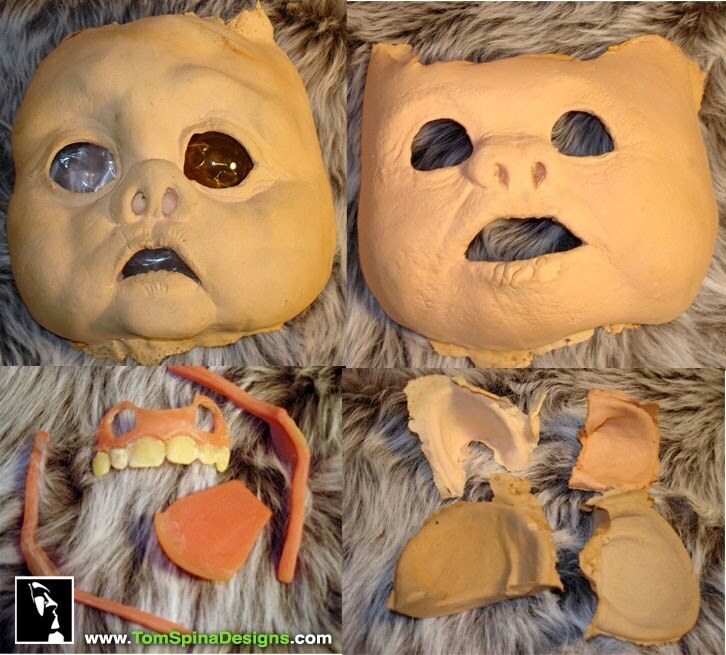 UPDATE June, 2017 – our friends at Prop Store uncovered another set of ewok mask parts. 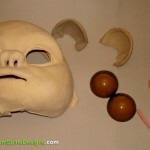 We’ve assembled those for another client and added new photos to the gallery! 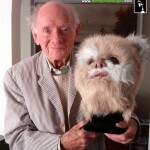 Tom, I took one of your Ewok build ups down to “The Freebs” [make up legends Stuart and Kay Freeborn, creators of Chewbacca, Yoda and the Ewoks for Star Wars] last night. 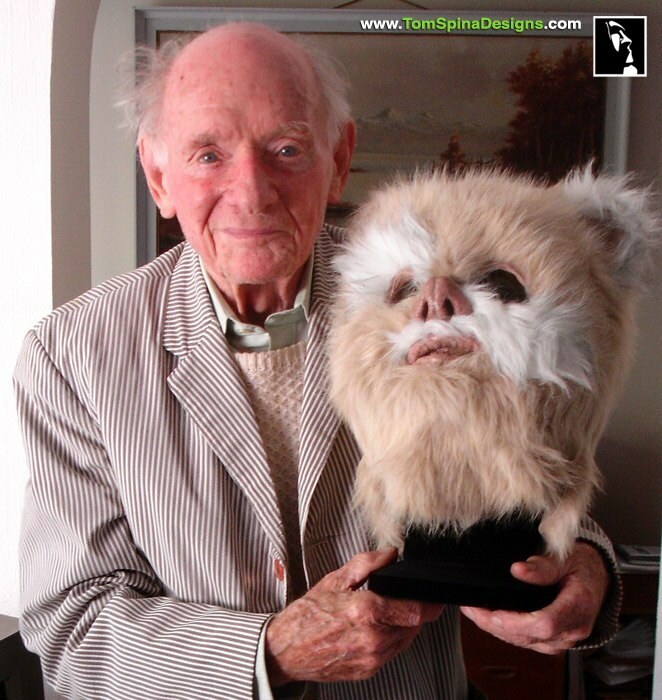 He was VERY impressed with your work. 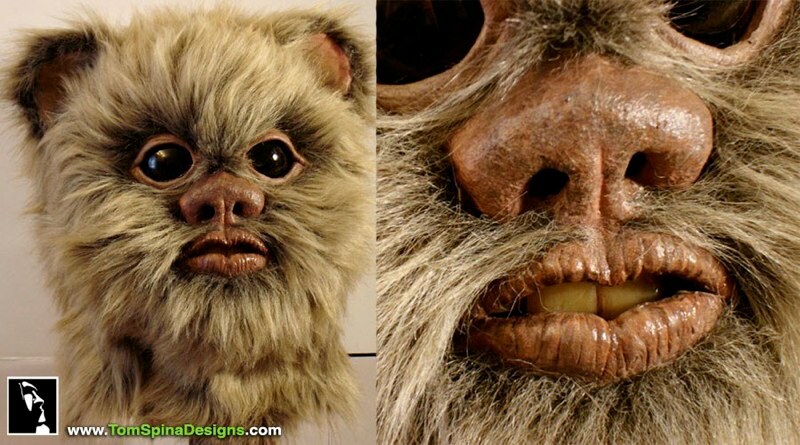 He said he thought it was one of his! 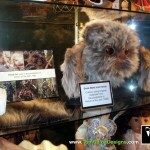 I thought you would like to know that you now have the official Freeborn seal of approval!